Sophie is a Solicitor in the Dental Negligence Team. She specialises in dental negligence and has dealt with numerous claims for patients who have suffered as a result of negligent dental treatment. Sophie has expertise in cases concerning nerve injury, complex restorative work, cosmetic dentistry, periodontal disease and substandard orthodontic work. She deals with a variety of cases, but focuses on complex cases that often involve damage to or loss of numerous teeth. "I was extremely lucky to work with Sophie Angwin. I had a complicated case, but throughout I had confidence in the way that Sophie dealt with my claim, she explained the medical law and the process very clearly, gave excellent advice, always contacted me when she said she would, and was extremely knowledgeable, kind and trust worthy"
Sophie graduated from the University of Birmingham with a BSc in Psychology. She went on to complete her legal studies in Bristol and obtained a distinction in the post graduate diploma in legal practice (LPC). Prior to joining Royds Withy King, Sophie worked as a paralegal at a large personal injury practice and gained experience in personal injury law. Sophie joined the Dental Negligence Team as a trainee solicitor in 2013 and qualified as a specialist dental negligence solicitor in 2015. With 5 years of dental negligence experience, Sophie has had the opportunity to obtain expertise in all types of dental negligence claims. Sophie is most likely to deal with complex cases that deal with numerous teeth that have had extensive (and negligent) restorative dentistry. These cases often involve many elements of negligent treatment, ranging from root canal treatments to substandard crownwork. Sophie also has a keen interest in periodontal disease and representing clients that have been left undiagnosed or suffered the mismanagement of this disease. 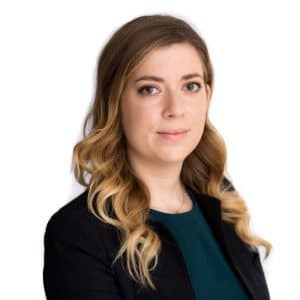 Sophie also specialises in cases that involve uninsured dentists and has the specialist knowledge and experience to ensure client’s have the best chance of recovering compensation in these circumstances.